Monroe, NY – When it comes to introducing new products, KJ Poultry, the largest kosher poultry producer in New York, has a distinct advantage over competitors. By having their own state-of-the-art USDA plant, one might say that they control their own destiny, including introducing many new innovative products. 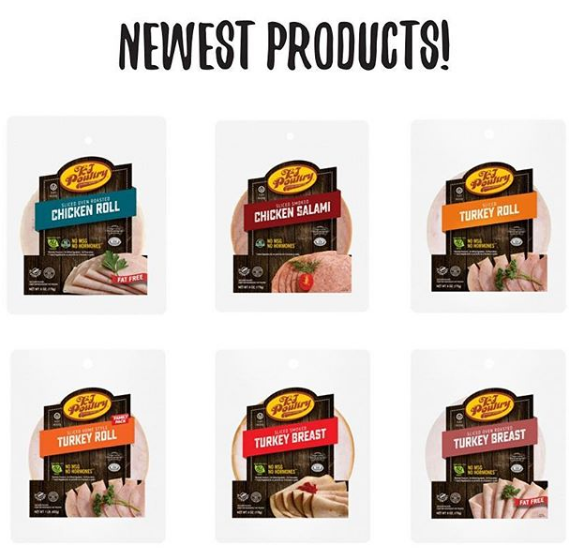 Visitors to this year’s edition of Kosherfest (November 14-15) will see an array of new deli products, including Oven Roasted Turkey Breast, Turkey Pastrami, and Chicken Franks amongst others, marking a major expansion of the company’s already extensive line of kosher poultry products. Having their own plant allows for constant research and development of new items, explained Mr. Chaim Oberlander, COO of KJ Poultry. KJ is already known for producing some of the tastiest quality kosher poultry products. “Our products contain only natural ingredients and are gluten-free, low in sodium without any MSG,” he pointed out. KJ’s large plant in the Mid-Hudson Valley assures that it is second to none when it comes to kashrus. The plant is under the constant supervision of Rabbi Getzel Berkowitz, the highly respected dayan (rabbinical judge) of Kiryas Joel. In addition, the Orthodox Union (OU), Star K, and the Sephardic Beit Din of America (SBD) also provide certification. “If there is a hiddur (kashrus enhancements) that applies to poultry, we most definitely adhere to it,” the KJ official noted. Being a leader in the production of the highest standard kosher poultry products has catapulted the company as the industry leader in kosher poultry. KJ Poultry has also successfully dealt with “the empty shelf syndrome” where meat shelves and showcases are empty on Sundays and Mondays because of the lack of kosher slaughter on Sundays. The plant is fully operational on Sundays, assuring that poultry shelves are restocked as early as Sunday afternoon and certainly by Monday. “We are very sensitive to the needs of our customers and having full production on Sundays assures that our customers will not face the frustration of shortages on the shelves,” said the KJ official. KJ Poultry is unique in that it is Kehila (Kiryas Joel Community) owned, with a portion of proceeds going to Torah education. The company pursues the highest kashrus standards, earning it the respect of the broadest segment of the kosher market. One of the many ways KJ Poultry displays their strict adherence to Torah law is by having many of its community members employed at the plant who are involved in every step of the process and are aware of the kashrus policies. The products are available in bulk packaging for distribution and food service, as well as in retail stores across the USA. KJ Poultry has issued an invitation to Kosherfest attendees to visit their booth (#837) at Kosherfest to sample the delicious new products. For more information please visit www.kjpoultry.com and follow them on Instagram @kj_poultry.